Everyone knows that Heroes slay Dragons. Not everyone knows that Heroes also change diapers. It’s the oldest story in the world; boy meets girl, boy marries girl, they have a family. But what happens when the girl makes more money than the boy, and he stays at home to raise the kids? What happens when pregnancy is rough on her, and he has to go back to work? 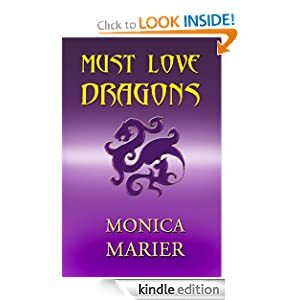 And what happens when she’s a dragon, he’s a ranger, and a day at the office involves trolls, elves, magic, and lower back pain? Linus Weedwhacker (shut it, he’s heard ’em all) knows first hand. Linus is back from his travels with money to burn and a grateful family. Only now he finds himself swept up in a danger worse than dragons and kobolds: Politics. Nominated for Union President Linus goes toe to toe with crooked leaders, a tank of water, dancing slippers, pop singers, corsets, and even a werewolf or two. That is if he even passes the qualifying rounds… and if he can avoid planting his foot in his mouth every two seconds. Whether you’re liberal, conservative, or nihilist, there’s nothing as impolitic as Linus Weedwhacker: Candidate at Large. CURRENTLY ONLY 1 IN STOCK. MESSAGE MONICA MARIER FOR DETAILS. 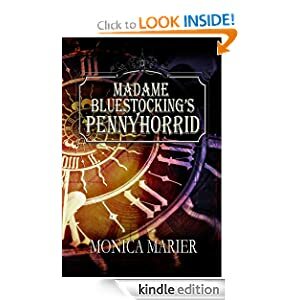 A Hope/Crosby style buddy-comedy in a Steampunk/Fantasy World! Introducing The Dynamic Wingaurd & Kelly: Blindsmen, Costermongers, Duffers, Dowsers, Factors, Fulkers, Legerdemainists, Limners, Noontenders, Machinists and makers of fine Wigs. One is a washed up, boozing wizard, one is a debonair walking disaster. They’re gentlemen of fortune who realize that the advantage goes not to the biggest hand, but the better bluff. Additionally that any landing you can walk away from is a good one, and chicks dig scars. Can the pair of them stop arguing long enough to save the citizens of Poulipolis from a watery grave? How will they manage with a shifty working girl and a hardened police inspector dogging their tails? Follow the hijinks of the Dynamic Wingaurd & Kelly (and their blue dragon, Philomena) as they unravel clues in a mysterious underwater city. 1989: a cusp between decades.The year the Berlin Wall came down and Voyager went up. Ted Bundy and Emperor Hirohito died. The birth of the first Bush administration and computer virus. 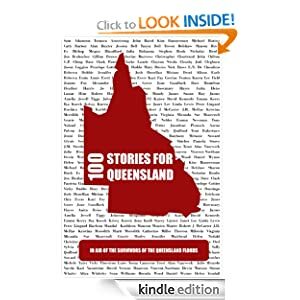 100 STORIES FOR QUEENSLAND has something for everyone, from slice of life to science fiction, fantasy to romance, crime to comedy, paranormal to literary fiction. 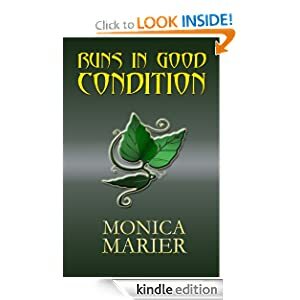 Heart-warming, quirky, inspiring and funny, the stories between these covers will lift readers to higher ground. All proceeds to the Queensland Premier’s Flood Appeal. 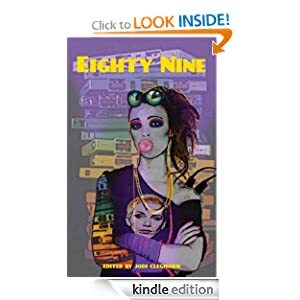 Twenty-six authors trade Tiny Dancer’s California- blessed lyrics for the shadowed recesses of stages large and small in From Stage Door Shadows, a speculative fiction homage to the darkness just beyond the limelight of the entertainment industry. The stories re-introduce the women Bernie Taupin wrote about and Elton John sang about: blue jean baby, LA lady, the band’s seamstress, the music man’s wife and the girl dancing in the sand, along with a stellar cast of musicians, singers, thespians, fans, managers, dancers, DJs, magicians, talent show contestants, stars and has-beens. 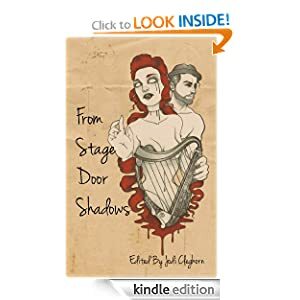 From vaudeville to opera, piano bar and street corner, hotel suite and beauty pageant, From Stage Door Shadows is a backstage pass to where dreams of fame, fortune and fulfillment live and die in a heartbeat. In late 2009 J.M. Strother launched the #FridayFlash hashtag on Twitter and a new writing community was born. The hashtag has grown into a vibrant and thriving writing and reading community who embrace new, emerging and established writers from across the globe every week in celebration of the flash fiction form. 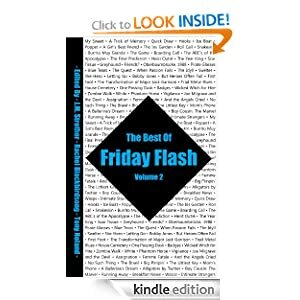 The Best of Friday Flash: Volume 2 brims with a second helping of poignant, uplifting, brutal, funny, melancholic and twisted snap shots of life: past present and future.